As we hit the peak of the festive season and approach the start of the January transfer window, now is a good time to take a look back at the Premier League. 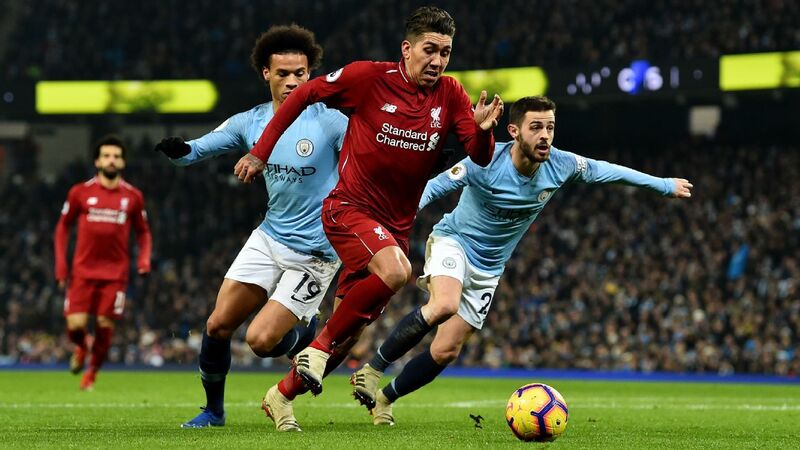 The competition is hitting its halfway point after 19 matches, and following a suffocating performance from Manchester City last season, the race between City and Liverpool (with Tottenham Hotspur on the outside) is shaping up to present the most exciting second half of a campaign since Leicester claimed the title in 2016. Today, I'm going to wrap up the first half of the campaign by handing out a few awards for some of the more exciting (or exasperating) moments of the first half. I'll finish up by naming a best XI for the opening months of the campaign and add my pick for the player of the (half-)season. 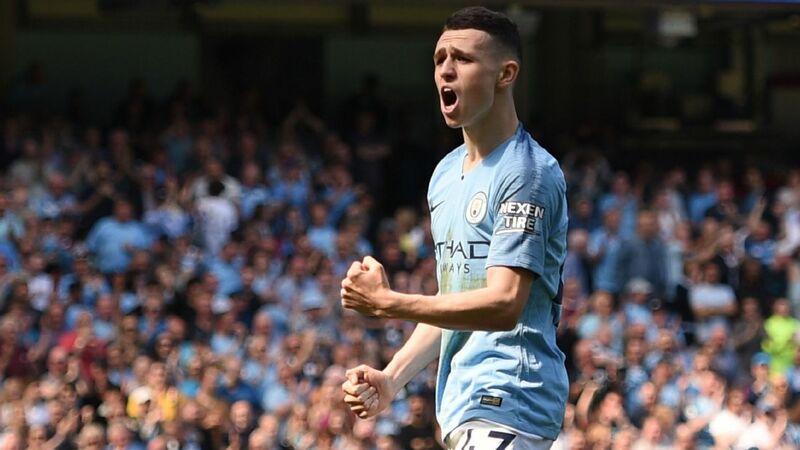 In a league where young British talent routinely trades at inflated prices, the 21-year-old Brooks has proven to be an absolute bargain since making the move up to the Premier League. Quickly establishing himself as an essential figure on the South Coast, the Welsh international has racked up five goals in 16 appearances for Bournemouth, including this spinning, Jared Borgetti-esque header against Brighton earlier this month. He narrowly beats Leicester's James Maddison (at £25m) onto this list. While former Barcelona teammate Yerry Mina is yet to make his mark on Merseyside, all Digne has done since arriving at Everton is push club legend Leighton Baines out of the first team. The 25-year-old was unquestionably upset to miss out on what ended up as a World Cup-winning campaign for France over the summer, but it also seems to have done Digne's legs some good. No left-back in England with more than 500 minutes played this fall has succeeded on a higher percentage of his tackles or completed more passes into the box than Digne, who also chipped in with a silky free kick for an equalizer against Watford. Lucas Torreira's industry and tenacity are just what Arsenal have lacked for years, and at a bargain price. After what felt like a decade of Arsene Wenger trying to find a replacement for Patrick Vieira, Arsenal replaced Wenger with Unai Emery and solved their defensive midfield woes within six weeks. The 22-year-old Torreira was second in Serie A with 73 successful tackles a year ago, and after transferring from Sampdoria to North London, the Uruguayan international is eighth in the league among regulars with 1,000 minutes or more in terms of possession-adjusted tackles. In combination with fellow bargain Matteo Guendouzi (who cost just over £7m from Lorient over the summer), Torreira has turned a problem, one that had leaked points for Wenger year after year, into a positive. 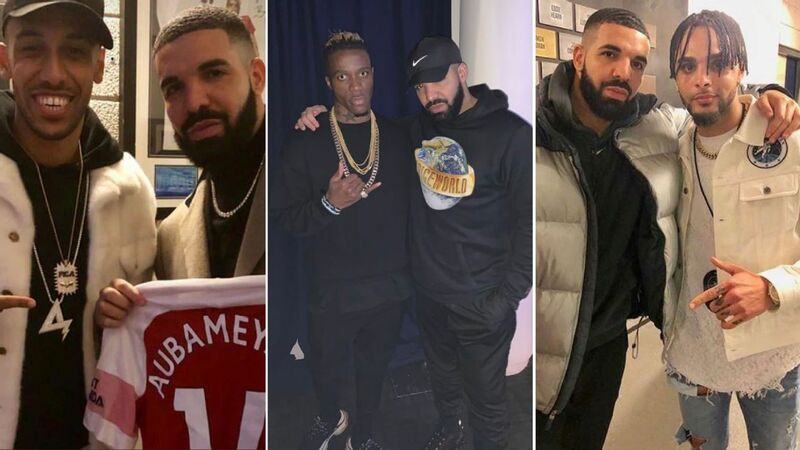 It's obviously way too early to make any proclamations about whether these guys will succeed in the Premier League over the long term, but for now, let's hit the transfers who haven't yet impressed for their new clubs. Nobody involved with defending in or around Fulham will be submitting the first half of their return to the Premier League for any sort of award nomination, but Fabri's arrival in London seems particularly odd. The 30-year-old Spanish keeper moved to England after two years as a starter for Besiktas, where he would presumably compete with incumbent Marcus Bettinelli for the No. 1 role. Three weeks later, though, Fulham brought former Sevilla starter Sergio Rico in on loan for the remainder of the season. Fabri lasted two games and allowed five goals before giving way to Bettinelli and Rico. By October, he already wanted to return to Besiktas. You get the idea Fulham might feel the same way. The former Watford man has run hot-and-cold at Championship level; Vydra scored 16 goals for the Hornets in 2014-15 and knocked in 21 goals for Derby last season, but in between those two stints, Vydra only managed eight goals in nearly 4,000 minutes across two seasons in the second tier. Burnley have had some success in the past when it comes to plucking strikers out of the Championship, with Chris Wood as a recent example, but Vydra hasn't been able to force his way into the first team and has played just 365 minutes for his new club. Given that Burnley has scored just 17 goals all season so far, it's hardly as if success is keeping him out of the team. Fred cost Man United a lot of money and simply hasn't found a way to adjust to the Premier League so far. One of the last signings of the Jose Mourinho era, Fred is another one of those signings whose absence in a struggling side seems conspicuous. 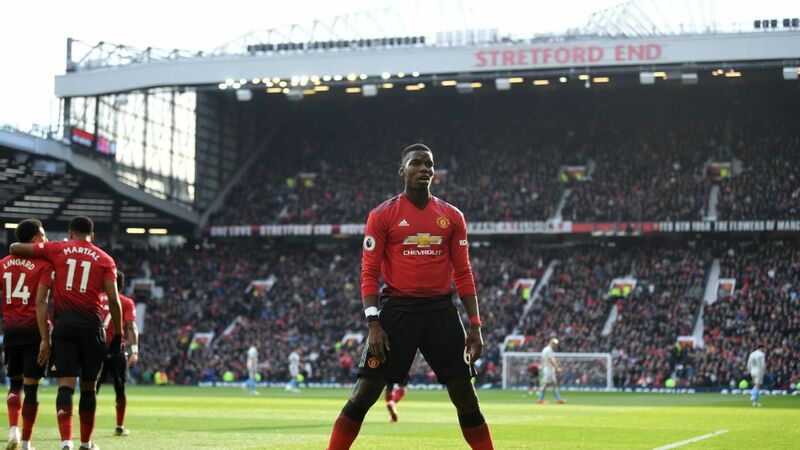 The Brazilian international seemed likely to figure in the midfield alongside Paul Pogba and Nemanja Matic, but despite Matic struggling and Pogba engaging in emotional war with his now-deposed coach, Fred has only started seven matches for his new club. 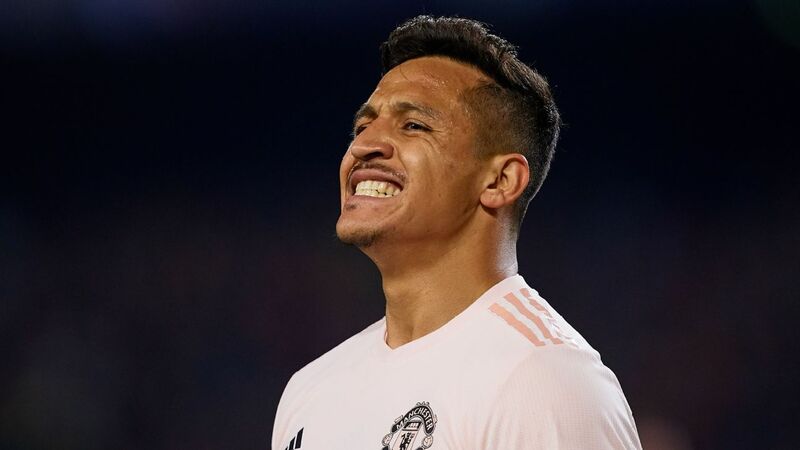 The 25-year-old will hope to use the festive season to make an impression on caretaker manager Ole Gunnar Solskjaer, but the big-ticket signing lasted just 53 minutes before being replaced by Ander Herrera against Huddersfield on Boxing Day. Speaking of the fired Manchester United manager and the best resident of Manchester's Lowry hotel, Mourinho was one of several managers to be enveloped in truly fatiguing narratives this season. The will-they/won't-they, three-month-long sacking of Mourinho mercifully came to an end earlier this month, but the 19 remaining Premier League managers have had their own endless storylines stretching back as far as several seasons now. Let's recall them here. The English media has a wonderful habit of decrying moderately offensive behavior, only to glorify it and hold that same behavior up as the pinnacle of excitement a decade later. How many flaks couldn't believe that English national team members would go out to the pub on international duty during the Paul Gascoigne era, before subsequently complaining that the teams who struggled to live up to expectations afterward didn't have any creativity or larger-than-life players? How many ex-players were offended by the Battle of the Buffet between Arsenal and Manchester United in 2004, only to fret that the game was too friendly in the years afterward? Likewise, does anyone really think the Liverpool manager's sprint onto the pitch to celebrate the unlikely last-minute winner in the Merseyside derby was an offensive act? This was the same level where Vinnie Jones grabbed Gascoigne by a very sensitive area and used the notoriety to help eventually launch a film career. In 10 years, we'll be desperate for a manager to liven things up the way Klopp used to in his glory days at Liverpool. 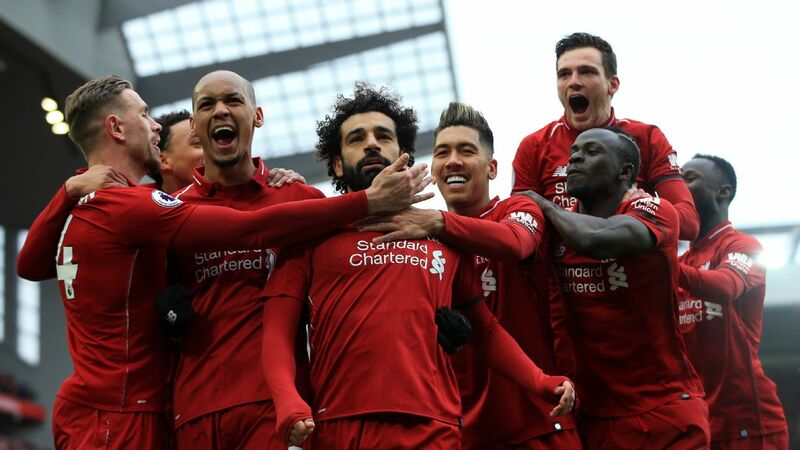 Phony outrage over Jurgen Klopp's full-blooded celebrations after Liverpool wins overshadow the fact that we'll miss him if he leaves the Premier League. Is there anyone who struggles to make friends more than the former Nice manager? The long-time Monaco player came to Southampton on a three-year deal in 2016, turned a transfer profit and led the Saints to an eighth-place finish in his only season with the club before being sacked. Southampton finished one spot off the relegation places the following year and are currently in 16th place. Puel next took over at Leicester in October 2017 after Craig Shakespeare was sacked, with the club in 18th place. By the end of the season, Puel had taken Leicester to ninth in the table, only for rumors to suggest Puel might be sacked over the summer. The same rumors persisted early this season, only to subside while Leicester dealt with the death of chairman Vichai Srivaddhanaprabha in a helicopter crash. Recent reports suggest Puel has lost "everyone" in the dressing room, which seems almost impressive. Leicester responded by beating Chelsea at Stamford Bridge and then topping Man City 2-1 at the King Power on Boxing Day. How could one man be so toxic and yet, simultaneously, reasonably successful? Newcastle supporters deserve better than their much-maligned owner, of course, but after years of rumors it's difficult to believe the latest stories linking the club to former Manchester United chairman Peter Kenyon. Ashley has been trying to sell Newcastle off and on for years without success, so much so that you have to wonder whether he actually wants to get rid of the club at all. Meanwhile, poor Benitez will publicly threaten to leave if he doesn't get the transfer funds he has been promised for years. The fans will respond to this with public protests. Ashley will assure Benitez that he'll give him funds in the next transfer window, and then we'll see reports that Benitez will have to sell players in order to fund any purchases. It shouldn't be this way. It will be. MVP. Defensive Player of the Year. Rookies of the Year. More. Regular-season picks for every major award. Watch soccer on ESPN networks in the U.S.
Let's hand out two goal of the season awards, because we've been blessed with some truly spectacular moments so far. I'll get to the best individual finishes in a moment, but here, we'll run through the best goals built around the pre-shot passing and interplay. There are a bevy of different City goals you could choose for this award, but I'll give the nod to this seven-pass string in advance of a cool Aguero finish that sealed a victory over Brighton at the Etihad. The Argentine international does most of the work here, peaking with an awkward touch that simultaneously manages to freeze two Brighton defenders in their tracks. This counterattack isn't exactly fluid, but Arsenal make their way up the pitch for a goal that seemed to have the flair modifiers turned on for every touch. Fulham aren't exactly the stiffest competition, but they don't even get near the ball as Unai Emery's team delivers a handful of inch-perfect touches and finishes with a spectacular back-heel finish from Ramsey. Aaron Ramsey, left, capped a sublime move as Arsenal swept past Fulham in early October. The winner is an Arsenal effort too. When Mesut Ozil does leave Arsenal, it's fair to say that Gunners supporters will have mixed memories of the German midfielder. 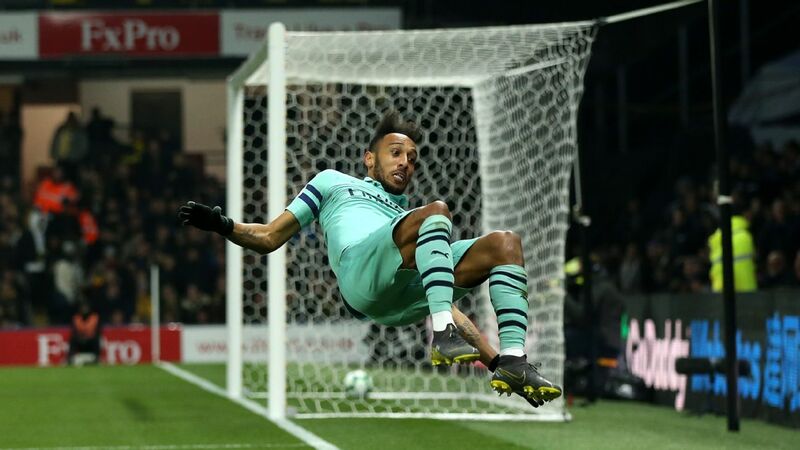 Even the most frustrated Arsenal fan can't deny that Ozil oozes class at his best, and Aubameyang's goal against Leicester was a reminder of his genius. With one dummy, Ozil transforms a modest counterattack and unlocks the entire Leicester defense in a moment. The subsequent run and touch to get the ball to Aubameyang aren't half-bad, either. Ramsey's goal might have required more collective technical proficiency, but it's hard to think of a more aesthetically appealing team effort than this. Hoilett has two goals in his return to the Premier League after spending the last three seasons in the Championship. They're both bangers. I'd narrowly give the nod to his effort against Wolves, where he fires off of a deflection from an acute angle and exquisitely curls a winner past Rui Patricio. His December strike against Watford was slightly more deliberate but is also worth your time. If Hoilett's goal against Watford was deliberate, Sturridge's crucial equaliser against Chelsea might as well have been accompanied by a statement of intent. It's virtually impossible to find N'Golo Kante at fault for anything -- and particularly for not closing down an attacking player with the ball -- but it's difficult to blame Kante for giving Sturridge a bit of space from 25 yards out in the dying minutes at Stamford Bridge. When Sturridge took the ball onto his left foot and fired into the top corner to earn Liverpool a point, even he seemed surprised. 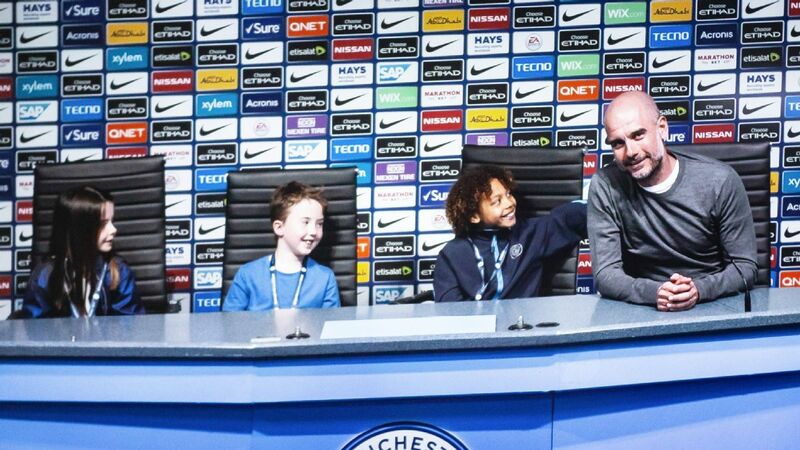 Andros Townsend, right, scored a stunning goal at the Etihad. Better yet, it lifted Crystal Palace to a genuine upset win over Man City. How could it be any other strike? Townsend's wonder volley off of an attempted clearance would be a goal of the season candidate in any league in any campaign. The fact that it (and the runner-up) might play a huge role in the title race only adds to its merit. If we're going to reward scorers, it only seems fair to give keepers their due as well. I'll spare you howler of the season, since that is already guaranteed to be presented to Jordan Pickford for what he did at the end of the Liverpool derby, but here are three remarkable stops from the first half of the campaign. Leno might deserve bonus points for making this save as a substitute, as the 26-year-old was making his Premier League debut after coming on for the injured Petr Cech. It's an impressive reaction stop of Watford striker Troy Deeney when the Arsenal backline falls asleep on a free kick, with Leno needing all of his 6-foot-3 frame to push Deeney's flick past the post. The French captain and World Cup winner has been inconsistent during the first half of this Tottenham campaign, but Lloris has certainly had his moments. The 31-year-old was man of the match in the 1-0 derby win over the Hammers, and the peak was this incredible save of Marko Arnautovic's looping header. It was one of several magical saves from Lloris at the London Stadium, where the home side even turned on their bubble machine to celebrate a Javier Hernandez strike only to find out it had been disallowed. Lukasz Fabianski's performance vs. Man United capped a surprising 3-1 win for West Ham, a result that was the beginning of the end for Jose Mourinho. The one-time Arsenal keeper has been impressive in his return to London, with Fabianski quickly winning the first-team role after Adrian and Joe Hart split duties last season. His best save so far is my stop of the season to this point and a more difficult version of the save Lloris would make against Fabianski's teammates a month later. Here, Fabianski takes a step forward but realizes he can't get to an excellent cross toward Marouane Fellaini. While the big Belgian gets a perfect downward header on the cross, Fabianski somehow gets low enough to tip the ball away. It took impossibly strong wrists and body control to keep this shot out. With Solskjaer being appointed interim manager at United, it's worth celebrating the super-subs who have impacted the first half of the campaign when coming off the bench. 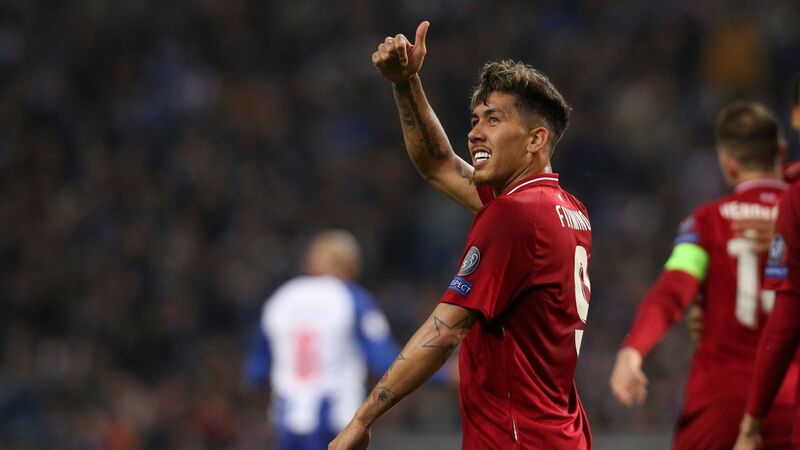 Nobody has delivered anything as essential as a Champions League final winner, of course, but these players might be in line for larger roles in the second half. After failing to get his preferred permanent move away from Everton to Red Bull Leipzig, Lookman spent most of the first three months of the season as an impact substitute off the bench. He has made a steady impact with a late injection of pace and creativity, setting up a game-sealing second goal for Dominic Calvert-Lewin against Crystal Palace. After making eight appearances as a substitute, Lookman finally got a start against Newcastle on Dec. 5, only to immediately return to the bench. This is mostly for that one appearance against Manchester United, and even that included two deflected finishes, but scoring two goals against an archrival in the middle of a frantic title race was enough to immediately convert any Liverpool supporters who thought Shaqiri might not be up to the level of his new side. Shaqiri's three goals as a substitute are second in the league behind Aubameyang, while the Swiss international was also credited with an assist on Sturridge's brilliant equalizer against Chelsea. Adama Traore's pace and purpose has been excellent in limited minutes for Wolves, as the winger has shown he can cut it at the Premier League level. The most frequently used substitute in the league so far is Traore, who was one of the players of the term in the Championship last season before moving to Wolves over the summer. Traore scored the winner against West Ham and has created nine chances from open play in 255 minutes as a substitute so far this season, or one every 28.3 minutes. To put that in context, Eden Hazard has created a league-high 50 chances in 1,405 minutes, which is just over one for every 28.1 minutes. Traore is not Hazard, of course, but he is going to be an impact player at this level. With those players on our theoretical bench, let's get to the 11 starters who make up the team of the half-season. I'm going with a 4-2-3-1 alignment, and I'll be moving players around a tiny bit from their present positions in the attacking third to get as much talent on the pitch as possible. When you see who we're working with, I think you'll understand why. GK David de Gea, Manchester United: I'm of the mind that de Gea essentially has this spot locked up until he either suffers through a dramatic loss of form or leaves the league. The Spanish international has made 64 saves this season, far more than any of the other keepers in the big six clubs. (Lloris is second among that group with 46.) You wouldn't need to look further than Mourinho to hear about how limited United are defensively, and while de Gea had a dismal World Cup, the 28-year-old looks back to his usual self at club level. RB Aaron Wan-Bissaka, Crystal Palace: Where did this come from? While the 21-year-old had his coming-out party when shutting down Leroy Sane in Palace's victory over Manchester City, Wan-Bissaka has been a revelation throughout this Premier League season. The Palace academy graduate only made his Premier League debut in February of this year, but after making the right-back spot his own, Wan-Bissaka has become one of the first names on the teamsheet for Roy Hodgson. The pacey defender leads the league in successful tackles with 48, with nobody else in the Premier League topping 42. Wilfred Ndidi is second, while the third-placed tackler appears elsewhere on this list. CB Shane Duffy, Brighton: While defensive partner Lewis Dunk has earned an England call-up, Duffy has been an absolute force for a struggling Brighton side. The Irish international leads the league with 7.3 clearances per game and is second behind James Tarkowski with 1.4 blocks per match. Both he and Dunk face a larger defensive workload by virtue of Brighton's tactics, but the 26-year-old has also chipped in this term with three goals and an assist, including Brighton's second against Manchester United. Duffy has also been an absolute force in the air. Among center-backs with 1,000 minutes or more this season, the only one to win a higher percentage of his aerial duels in the defensive third than Duffy (84.2 percent) is Virgil Van Dijk (87.0 percent). 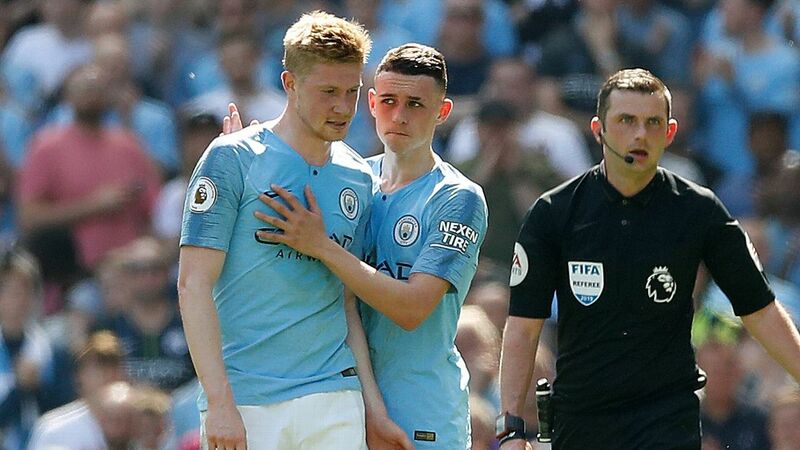 The only blot on his copy book is that Duffy was forced to miss three matches after receiving a red card during Burnley's 3-1 win over Crystal Palace on Dec. 4. It might be telling that Brighton lost each of the three matches that followed and then took a point from Arsenal upon Duffy's return to the side. Virgil Van Dijk has been tremendous for league leaders Liverpool, adding a solidity at the back that has propelled their brilliant season so far. CB Virgil Van Dijk, Liverpool: More of the credit for Liverpool's stubborn backline has gone to Van Dijk, who has transformed Liverpool's previously leaky defense since moving from Southampton for £75m one year ago. 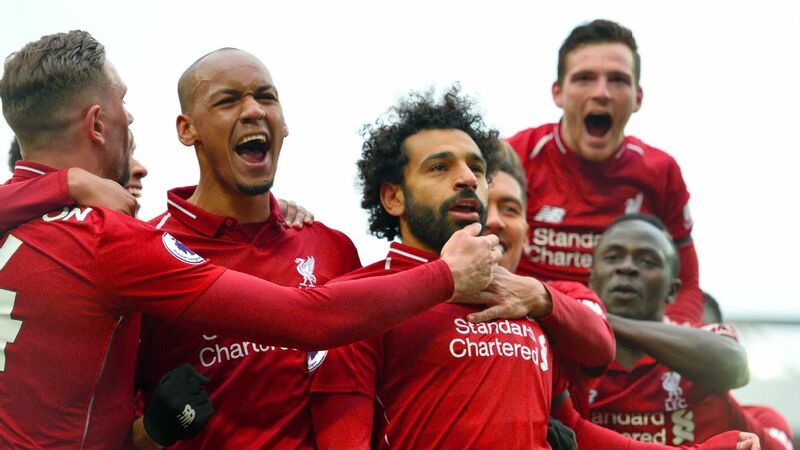 Liverpool have allowed just seven goals across their first 19 league matches; it seemed more likely that they would allow seven goals in one match this time last year. Alisson deserves some of the credit, of course, but Van Dijk has exceeded even the wildest expectations. LB Andrew Robertson, Liverpool: I narrowly gave this nod to the Scot ahead of the aforementioned Digne, as Robertson's stunning turn into a top-level Premiership defender has continued. Robertson finished eighth among left-backs in the ESPN FC 100, behind only Benjamin Mendy and Marcos Alonso in the Premier League, but Robertson's role in Liverpool's defensive success this season pushes him narrowly above those two for me. CM Idrissa Gueye, Everton: This chair has been held warm for Kante over the past few seasons, but with Kante displaced from his holding role by Jorginho under Maurizio Sarri, the French superstar doesn't make it onto our roster. He has been replaced in the holding role by Gueye, who has been an absolute vacuum for Everton. As Mike Goodman noted for Statsbomb, the Senegal international ranks among the league leaders in both tackles (he's third behind Wan-Bissaka and Ndidi with 41) and interceptions per 90 minutes after you adjust for possession. Gueye missed the two December matches against Man City and Spurs, with an exposed Toffees backline promptly shipping eight goals in those two matches. David Silva has been just as influential for Man City despite a decline in his goals and assists. CM David Silva, Manchester City: This would normally be a more defensive player, and Etienne Capoue is playing well enough for Watford to justify consideration, but it's impossible to keep the City legend out of this team. 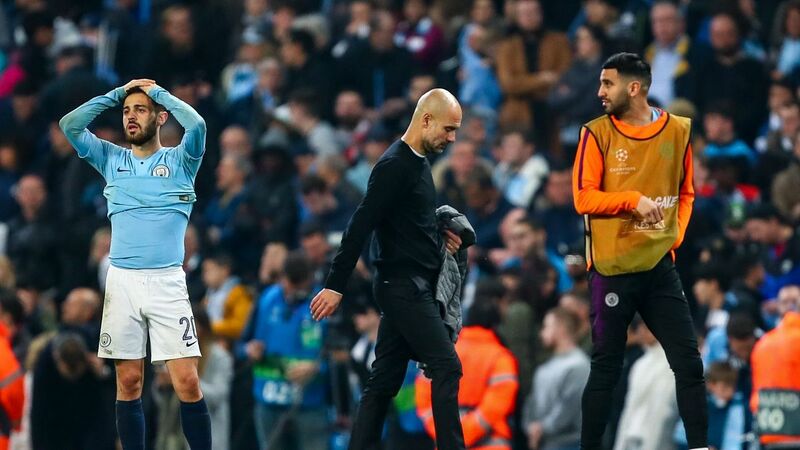 Silva has only two assists this season, but that's due to some subpar finishing from the City strikers; his 4.52 expected assists (xA) is second in the league behind Eden Hazard, which is impressive given that Hazard has played 305 more minutes. His 2.6 key passes per match, too, rank second behind Hazard. I don't have to convince you that Silva is great, do I? RW Mohamed Salah, Liverpool. The arguments that Salah was scuffling earlier in the year don't amount to much more than an issue of small sample size. The Egyptian sensation has comfortably returned to form in recent weeks. Through the 0-0 draw against City, Salah produced three goals against 5.5 expected goals (xG). Afterward? Salah scored eight goals in 10 appearances against an xG of ... 5.5. That adds up to 11 goals against 11 expected goals. Most of that success has come while moving into a more central role, but here he's going to play on the wing so we can accommodate a certain Spurs player. AM Eden Hazard, Chelsea: Although Hazard has been enjoying his football playing on the left side for Sarri this season, he obviously has the passing range and the sublime skills to start in the middle and combine with the various other attackers he is playing alongside in this 11. If you think the Belgian star has slipped after his hot start to the season, you're wrong. 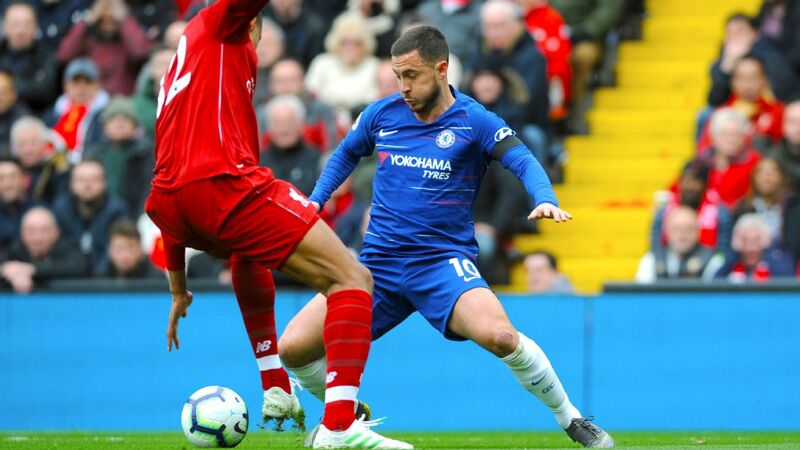 Hazard scored seven times in his first five starts this season and had just one goal in the ensuing nine appearances, but he's still contributing. Hazard has chipped in with six assists over that nine-match span, including both in Chelsea's 2-0 win over City earlier this month. He then returned to the scoresheet with a pair of goals in Wednesday's victory over Watford. LW Raheem Sterling, Manchester City: There is a section of the world that will never be satisfied with Sterling. It's their loss. For someone who supposedly struggles to score, the 24-year-old chipped in with 18 goals and 11 assists in 29 starts last season. This season, he's on pace to generate ... 18 goals and 12 assists in 28 starts. 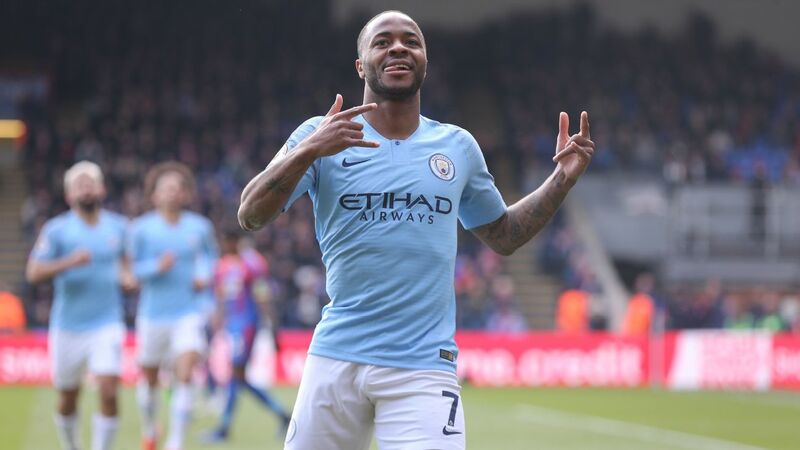 Over that two-season span, Sterling has scored 27 goals against an expectation of 23.8 xG. He's second in the league behind Leroy Sane with 17 assists over that time frame as well. You don't have to worry about Sterling living up to his potential; he has been doing it for nearly two years now. ST Harry Kane, Tottenham: The first version of this team had Hazard playing on the left, Sterling on the right and a choice between Salah and Kane in the middle. If you can pick between the two, you're a braver person than me. I'd rather put them both on the field and see what happens. You might even justify putting Aubameyang in this spot given that he has more goals (13) and non-penalty goals (11) than Kane (12 and nine, respectively), but it seems difficult to build a team of the season without the English national team's captain in the side. Here, what amounts to a tie goes to the incumbent. Liverpool get three players in our best XI so far thanks to their status as the league's only undefeated team at the midway point. Let's finish by picking what amounts to an MVP award for the first half of the campaign. Awards like this almost always go to attacking players -- the only defensive player over the past 20 years to win the Ballon d'Or is Fabio Cannavaro in 2006, as an example -- but there's a serious race to be had this season. Salah leads the league in combined expected goals and expected assists with 18.7; nobody else in the Premier League is within four points of Liverpool's star forward. 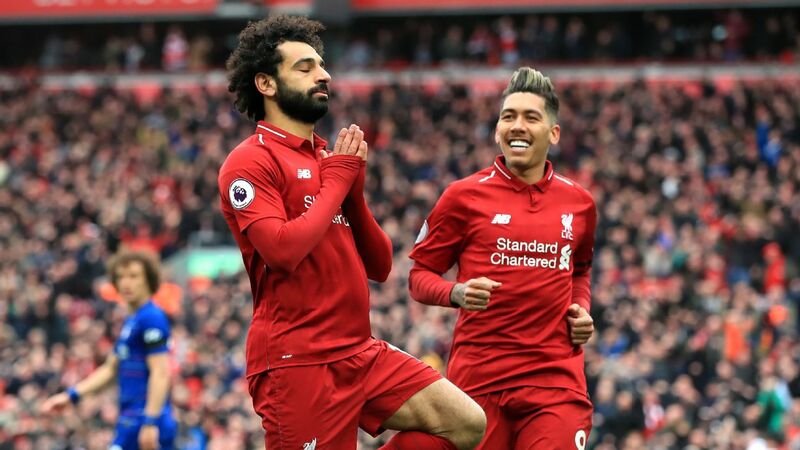 Even during those rare stretches when he isn't taking his chances, Salah does such a good job of creating opportunities for the players around him. He has created 41 chances this year with key passes and assists, which is tied for sixth in the league. 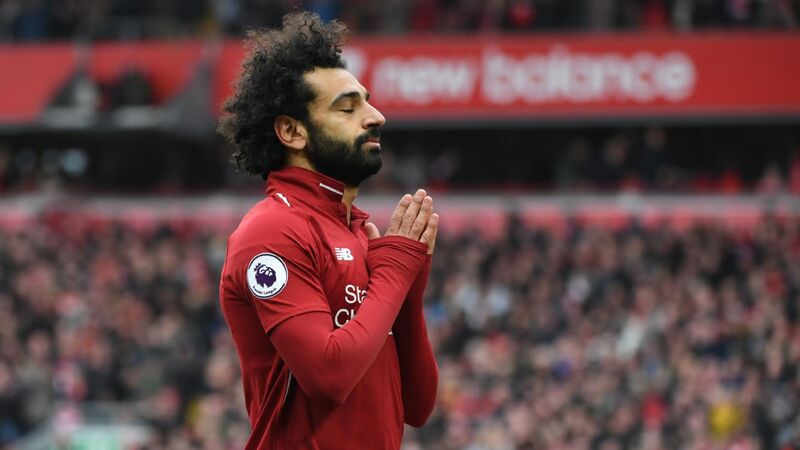 Salah would be a valuable player if he never scored. Thankfully, he does that, too. 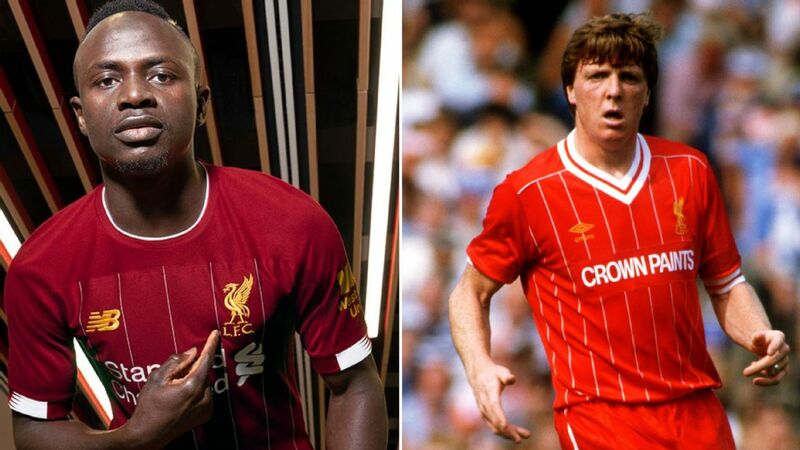 Players like van Dijk don't win this award, but if Liverpool claim their first-ever Premier League title, isn't there a strong case that van Djik was the difference-maker? Klopp's team made four mistakes that led to goals during the half-season Van Dijk spent in exile at Southampton last season. They've cut that figure down to two over the ensuing 12 months with the Dutch battering-ram in Liverpool. Klopp's team is on pace to allow just 14 goals this season, which would break the record of 15 goals allowed by Chelsea in 2004-05. Imagine comparing a Klopp team to peak Mourinho this time last year! Eden Hazard has gone from strength to strength for Chelsea this season. Where would they be without him? In terms of actual production, there's nobody who carries the line quite like Hazard at the moment. Chelsea are in transition under Sarri and don't have a regular starter at striker, but it just doesn't matter. Hazard leads the club in both goals (10) and assists (nine). He tops the league in key passes and dribbles per match. Nobody else in the league shoulders a larger portion of the creative workload at this high of a level. If Chelsea lose him to Real Madrid, it'll be a step backward for the entire league, let alone Chelsea. Hazard is one of the few players who adds a level of credibility to whichever competition he graces.